Captain Tim Downing reads to the story time children about fire safety. Ms. Noel reads “I’m Brave” by Kate and Jim McMullan. Captain Tim and Crosby take aim with the fire hose. 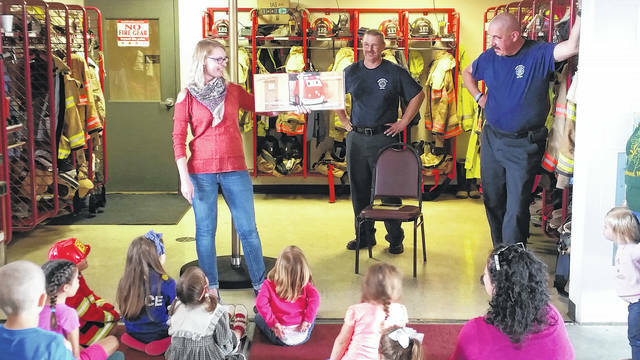 The Carnegie Public Library held a Firehouse Story Time recently at the Washington Fire Department. Captain Tim Downing showed young firefighter, Hartlyn, how to fire the water hose and assisted throughout the visit in special demonstrations. Firefighter John and Ms. Noel suit up for action. Firefighter John displays and describes the special gear that they wear that protects them as they fight fires. 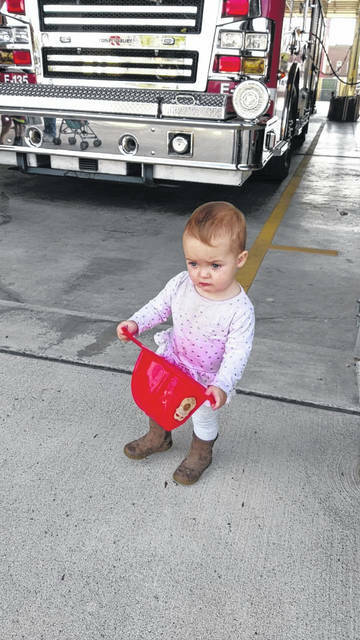 Abigail carries her firefighter hat, given to her by our brave Washington Court House Fire Department. 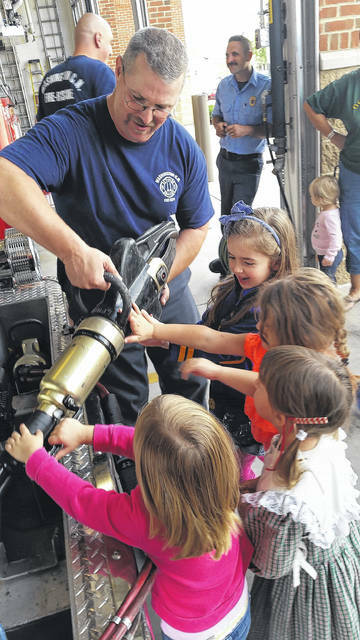 https://www.recordherald.com/wp-content/uploads/sites/27/2017/10/web1_firehouse-st1.jpgCaptain Tim Downing reads to the story time children about fire safety. https://www.recordherald.com/wp-content/uploads/sites/27/2017/10/web1_firehouse-st3.jpgMs. Noel reads “I’m Brave” by Kate and Jim McMullan. 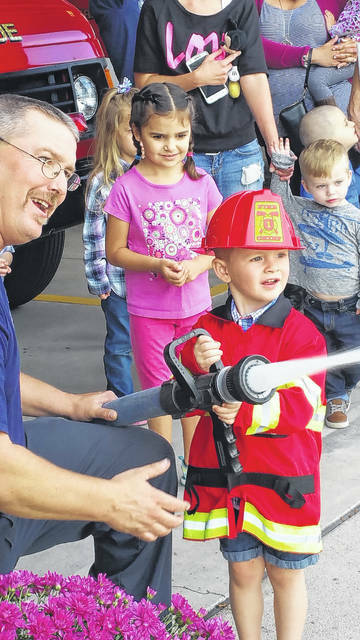 https://www.recordherald.com/wp-content/uploads/sites/27/2017/10/web1_firehouse-st5.jpgCaptain Tim and Crosby take aim with the fire hose. 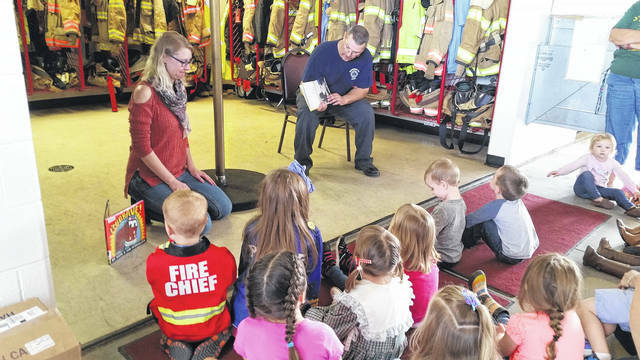 https://www.recordherald.com/wp-content/uploads/sites/27/2017/10/web1_firehouse-st7.jpgThe Carnegie Public Library held a Firehouse Story Time recently at the Washington Fire Department. 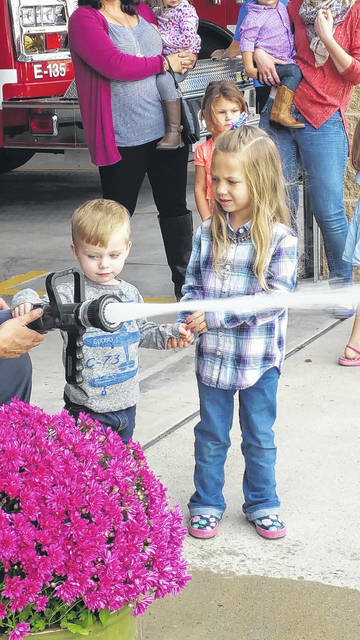 Captain Tim Downing showed young firefighter, Hartlyn, how to fire the water hose and assisted throughout the visit in special demonstrations. 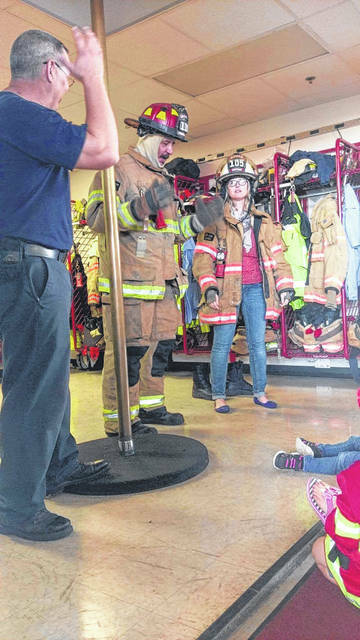 https://www.recordherald.com/wp-content/uploads/sites/27/2017/10/web1_firehouse-st20.jpgFirefighter John and Ms. Noel suit up for action. Firefighter John displays and describes the special gear that they wear that protects them as they fight fires. https://www.recordherald.com/wp-content/uploads/sites/27/2017/10/web1_firehouse-st23.jpgAbigail carries her firefighter hat, given to her by our brave Washington Court House Fire Department.